The specter of mortality hangs over Stephen King’s Pet Sematary more than most other horror texts. In whatever form it takes — 1983 novel, 1989 film adaptation, the gonzo 1992 sequel, Pet Sematary Two, or this new cinematic iteration — this is a story about how we cope with the inevitability of death. It’s specifically filtered through the experience of enduring the death of one’s own child, and perhaps because of that Pet Sematary seems to resonate with parents much more than with the kidless and fancy-free. This is Every Parent’s Nightmare skewed into actual nightmare territory, as grief-stricken doctor Louis Creed (Jason Clarke) does the unthinkable after his daughter Ellie (newcomer Jeté Laurence) is skittled by a semi-trailer: he exhumes her body and re-buries it in the ‘sour’ ground beyond the titular Pet Sematary hidden in the woods behind his country house, knowing that this ancient patch of land, known and feared by the local Indigenous population back in day, will bring her back from the dead. This being a film of a certain genre, she comes back ‘wrong,’ and more supernatural terrors unfold from there. Of course, Louis should know better. After all, he’s already had the family cat, Church, come back vicious and hissing after planting the poor thing in the same soil (Church, too, was the victim of a speeding truck), so it’s not like he isn’t across the likely outcome. Still, grief can make a man crazy — perhaps we shouldn’t be too harsh. Maybe it’s the fault of kindly old Jud Crandall (John Lithgow), the wise and wizened neighbor who first clues Louis in to the existence of the cursed location. Jud means well and is given to somber proclamations of local lore and down-home wisdom regarding life, death, and the whole shebang, but you could argue that the best way to protect people from a cursed burial ground is not to tell them it exists. Some blame could even be laid at the feet of Rachel Creed (Amy Siemetz), wife to Louis and mother to Ellie, who retreats to her family home in Boston following Ellie’s death, taking their young son Gage (Hugo and Lucas Lavoie) with her and leaving Louis alone with his guilt and the terrible temptation that lies beyond the Pet Sematary. A bit harsh? Perhaps, but in doing so she’s reenacting the childhood trauma that led to her own pathological hear of death — her parents left her alone with her dying sister, Zelda (Alyssa Brooke Levine), who was suffering from spinal meningitis, and it was Rachel’s negligence that led directly to her death. Of course, she can’t know what Louis will do when left to his own devices, but the parallels are clear. We know, though, that the blame game is for mugs — Pet Sematary’s primary thesis is that things will get bad, and then they will get worse, and no good intentions or actions or anything will arrest that tight, awful spiral down the plughole of the universe. It’s a lot like life: you get old (if you’re lucky), you get infirm, you get sick, and death comes creeping by increments. Or, you get wiped out by a truck, literally or metaphorically, and leave the people who love you devastated in the wake of your sudden, shocking absence. But it is going to happen, and interference via any agency, scientific (it’s no accident that Louis is a doctor) or supernatural, is going to change that. At best, it’s going to delay the inevitable. In Pet Sematary, it’s more likely to make things infinitely worse; the horrors wreaked by the film’s revenants are paralleled by the horrors endured by Zelda in her sickbed — in both cases, to quote the works most iconic line, sometimes dead is better. 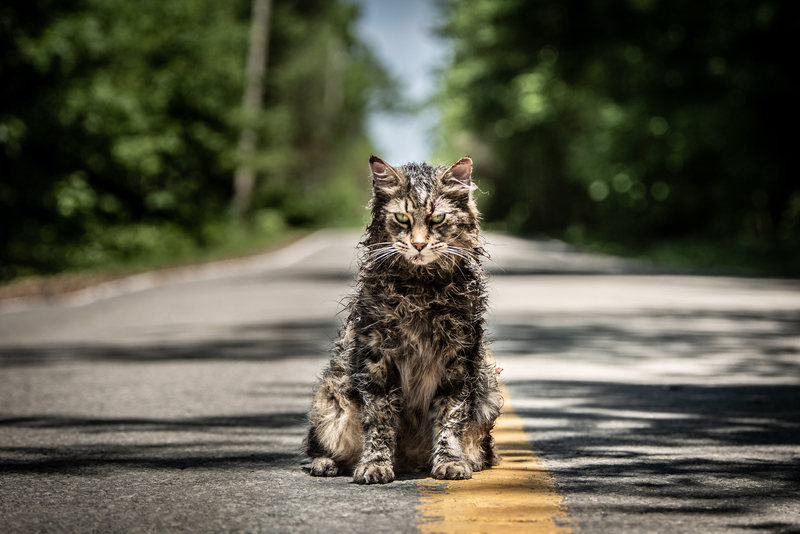 So, Pet Sematary is a grim, grim, slog, and it’s remarkable that these misanthropic, fatalistic themes are embedded in a film that is, on the surface, a well-made, polished, populist horror movie, the sort that sates the metroplex crowd while bugging the genre veterans for ‘not going far enough.’ Pet Sematary goes plenty far — it just does so surreptitiously right up until the climax, when it goes for broke, and its pessimistic subtext really comes home to roost (no spoilers here, but I will say that it departs from the source material in marked and interesting ways). Directors Kevin Kölsch and Dennis Widmyer are no strangers to horror. Their 2014 film, Starry Eyes, is a minor classic, marrying reality-warping Lovecraftian horror and a satirical look at the workaday grind of those trying to get on the bottom rung of the Hollywood ladder to good effect. There are times when this latest offering could use a little more polish, though. A few folk horror elements, such as a funeral procession of animal-masked kids on their way to plant a dead dog, and Crandall cluing Louis in on local legends of the Indigenous Wendigo monster, are left unexplored, and while they’re interesting and creepily evocative, should have been excised completely to better streamline the narrative. There’s also a moment or two when the desire for spectacle overrides taste and sense. The accident that claims Ellie is a touch OTT, with the tanker of the truck decoupling and wiping her out rather than the more likely — and grimmer, and more thematically satisfying – event of the vehicle just plowing straight through her without pause. It’s a key moment in the story, of course, but that doesn’t mean it needs to be heightened so melodramatically. There’s also at least one moment that requires a metatextual knowledge of the previous film adaptation to really land, and it involves a scalpel and an ankle. Whether that is a problem or not is pretty subjective, but suddenly being reminded of a different incarnation of the text when you should, hopefully, be fully engrossed in this one is a misstep, I feel. It’s cleverness for its own sake and counters the emotional immersion that good horror depends upon. 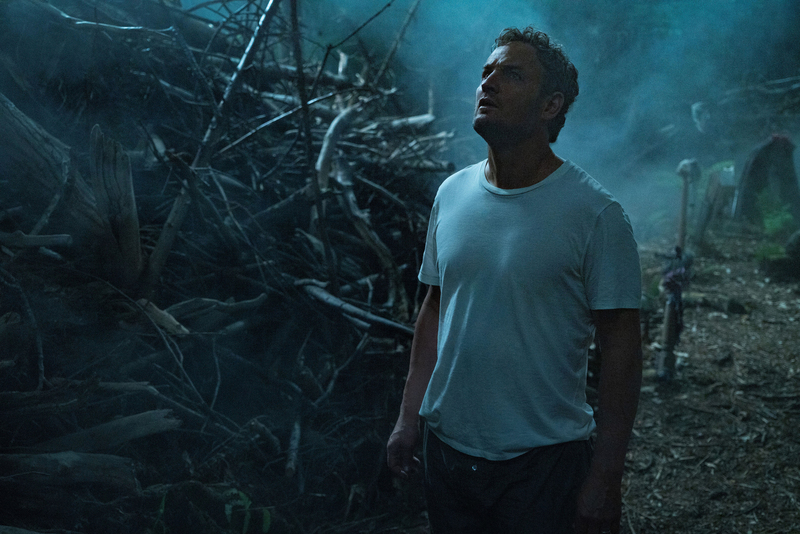 But then, you have a solid, empathetic performance from Jason Clarke, who is the emotional anchor of the whole affair — which is why, when he’s adrift, it’s so affecting. This is really the best thing Clarke’s done in ages, and a timely reminder that while he may crop up in dross like Serenity (2019) and, god help us, Terminator Genisys (2015), he really is a top-notch talent. Seimetz is great too, and Lithgow always is (although he never quite eclipses Fred Gwynne’s iconic performance in the ’89 version), but it’s Clarke who’s the heart of the film, and his work does a lot to counter pretty much all of its failings. There’s a reason why Stephen King is one of the world’s most popular authors, and its because he is able, when he’s in his groove, to explicate universal truths — let’s face it, mainly universal dreads — in a supremely accessible way. 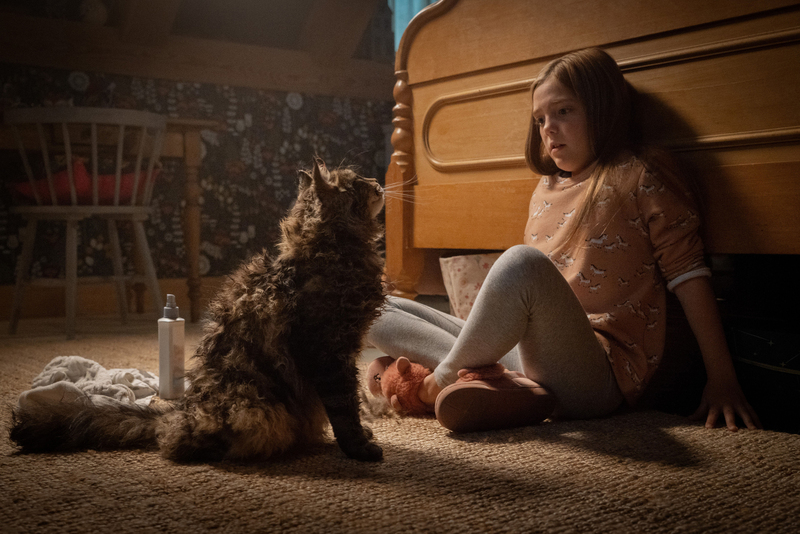 This latest take on Pet Sematary manages the same trick. For all its supernatural trappings and zombie kids, its function is to remind us that, probably sooner and more painfully than we’d like, we’re all taking a trip to the Sematary too, and it’s kind of amazing that people will be lining up in droves at the box office to be reminded of that. Fantastic review, you’ve got me really looking forward to this.